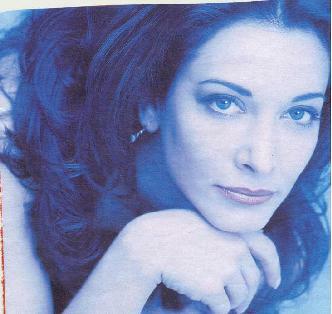 sa Peluso joined the cast of Another World in May 1997 in the newly created role of Lila Roberts. Lila, a wily and volatile femme fatale, tried for months to win back the love of her ex-husband, Shane Roberts. Now that Lila has lost Shane to a fatal car accident, she will stop at nothing to reclaim the legacy she believes belongs to her. Peluso, who began acting as a baby, has appeared in the feature films Saturday Night Fever and New York City Nights. On television, she is well known to daytime audiences for her previous roles on Search for Tomorrow, Loving, As the World Turns, Somerset, Love of Life, and One Life to Live and she guest starred on Pauly, Designing Women and Hunter. She appeared on Broadway in Gypsy. Her off-Broadway credits include Sweet Sound of the Trumpets, The King and I, No Tomorrows, Terry Neals’ Future, Evil Little Thought and Light Burgers Waltzing Through the Garden with Joe. When she is not taping, Peluso creates handmade jewelry. She and her husband, photographer Brad Guice, live in Manhattan. Peluso’s birthday is July 29.